Pray Americas is an opportunity to humble ourselves and pray and seek His face. 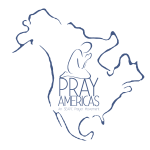 Every year, SEAPC devotes itself in prayer for 40 days in June and July specifically for Canada, Mexico, and the United States. We invite you to prayer walk with us for these 40 days, and ask the Lord for nation changing revival. Each year we choose a different focus and a different way to get involved. In 2016 we focused on college and university campuses, and in 2017 we devoted ourselves to prayer for the congressional districts and circuit courts around the United States. Did you know that approximately five people die every hour from an opioid overdose in the United States? In response to this and many other troubling statistics, SEAPC Pray Americas 2018 will be concentrated on eliminating systems of violence through prayer, specifically focused on the opioid epidemic and widespread violent events. Please join us June 15th through July 25th, 2018 as we mobilize people to pray across the Americas for an end to systems of violence! We encourage you to gather your friends, church, small group, or Bible study to form a prayer walking team. We have prepared materials for you to invite others to participate, and also to prepare yourselves for prayer walking.